← Mantra Monday: Look for the magic. 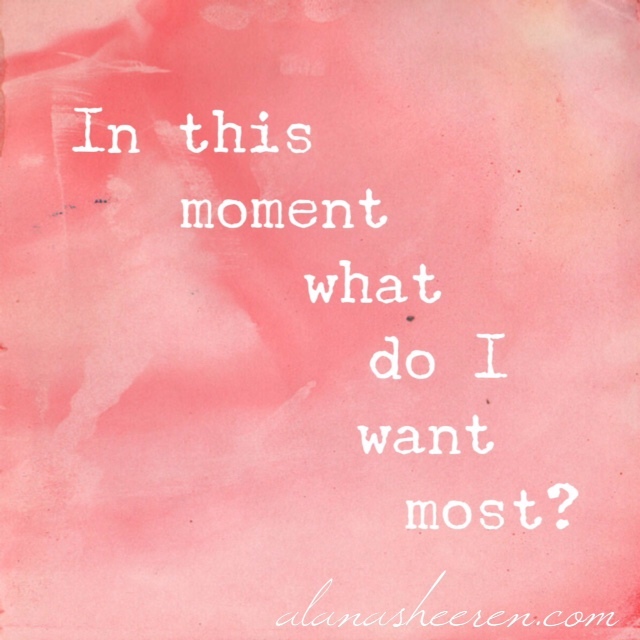 Mantra Monday: What do I want? It could be a nap, a shower, a green smoothie or some chocolate. You might want a hand to hold or a good cry. Maybe it’s to read a book or call someone you love. It might be something you can’t have or don’t know how to get. You don’t have to act on the answer. Just listen, acknowledge, then choose. Tomorrow is the 4th anniversary of Benjamin’s stillbirth. I’m asking myself this question a lot as I feel into the tenderness of this time. I have a lot I want to do today and I also feel the need for quiet, for space. That’s what I want most right now. I also want to put the finishing touches on the party I’m having here on the blog this weekend. I wouldn’t be the person I am, doing this work I love so much, if Benjamin hadn’t died. As I honor him this week, I also feel a deep need to celebrate all that’s changed in the last four years because of the grief his death brought. I hope you’ll join me, starting this Thursday July 31st, for a little virtual celebration. There will be giveaways, discounts and party favors. It’ll be fun and easy because what I really want is for it to feel good. Come in your pj’s, your beach wear or your fanciest hat & bring your own kombucha. P.S. If you’re on my newsletter list you’ll know that my dream is to have a space where one day I can have this party and invite you all in person. I want to look in your eyes and hear you tell your story and feed you delicious food. If you’re not on my newsletter list, you can sign up in the right-hand sidebar and I’ll send you a little reminder on Thursday, so you don’t miss out on the gifts!